Government officials in Australia are making public a list of properties that tested positive for traces of deadly Mr. Fluffy asbestos insulation products. 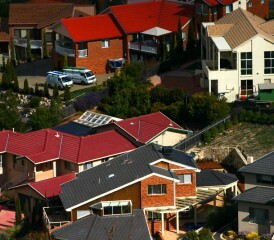 Affected homeowners and others have mixed reactions to the June 30 publication of the list containing more than 1,000 homes across Canberra and parts of New South Wales in the Australian Capital Territory (ACT). Safety advocates say publishing the list of hazardous homes is in the public’s best interest to protect others from asbestos exposure that could lead to deadly diseases, such as mesothelioma. While some homeowners feel it’s an invasion of privacy and will make matters worse. Other homeowners, who chose to not participate in the federal government’s $1 billion program to buy back and demolish their homes, say publication of the list may diminish the value of their properties. Currently, about 25 percent of homeowners on the list have agreed to let the government buy and raze their homes, according to the ACT Asbestos Taskforce. The group reports it’s on track to purchase the bulk of the remaining properties by the end of the fiscal year. Canberra homeowner Karen Rush, who purchased her house in 1994 and agreed to have it demolished under the program, sees the list in a different light. ACT government officials confirmed two people who lived in “Mr. Fluffy homes” developed tumors and other diseases possibly linked to exposure of the asbestos insulation product. The news of making the list of homes public came to light as the ACT launched the “buyback and demolish” program in January. The plan is an asbestos abatement initiative funded by a $1 billion concessional loan from the federal government. Under the plan — expected to stretch out over five years — houses with asbestos will be demolished. The land will be remediated by removing enough soil until it no longer shows signs of asbestos. Some of that loan will finance the safe disposal of asbestos, which could cost the ACT $3 million. Homeowners of “Mr. Fluffy homes” were told they would be given the first option of purchasing the land. Proceeds from the sale of remediated lots will help the ACT repay the loan. Queanbeyan, where Mr. Fluffy founder Dirk Jansen based his insulation business, is known as the epicenter of the Mr. Fluffy disaster in New South Wales (NSW). Reports show 52 residences in Queanbeyan contain deadly asbestos. The bulk of them are located in an apartment building. Currently, testing for asbestos in NSW is voluntary. Homeowners need to request inspections. Thousands of homes in Australia were fitted with Mr. Fluffy insulation in the 1960s and 1970s. The product, marketed as “Asbestosfluf,” contained asbestos, now known as a carcinogen that causes mesothelioma, asbestosis and other diseases. In the 1980s, a massive federal project removed the insulation from Australian homes after reports of residents developing complications from the toxic mineral. The recent reports show not all the asbestos was removed. A 2014 inspection of many of the homes thought to no longer contain asbestos revealed traces of the mineral in children’s rooms, living rooms, cupboards and others parts of the homes. The country’s extensive use of asbestos products is to blame for Australia’s high incidence of mesothelioma. Statistics show the country had the highest per capita rate of asbestos use in the world from the ’50s to ’70s.